Auto Value and Bumper to Bumper have randomly selected three $10,000 grand prize winners and 50 $100 gift card winners from the first drawing of the Aftermarket Jackpot Jumpstart Sweepstakes, powered by Standard Motor Products (SMP). For this sweepstakes, a total of $70,000 will be given away! Six lucky grand prize winners will receive a check for $10,000, and 100 other ancillary prize winners will receive a $100 gift card. Professional technicians receive an entry with every eligible SMP purchase made through MyPlace4Parts until the end of February, one of the industry’s leading ecommerce parts ordering systems. 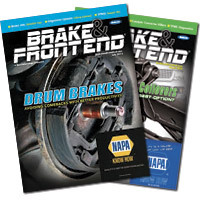 Eligible SMP brands include 4Seasons, Blue Streak, Hayden, Intermotor, Standard and TechSmart. The winnings continue at AAPEX as SMP will also be giving away another $10,000 during the Aftermarket Jackpot Convention, where over 5,000 Auto Value and Bumper to Bumper automotive repair professionals will converge in Las Vegas. Aftermarket Jackpot Convention attendees will receive an entry when they visit SMP’s booth at the AAPEX show for a chance to win one of twenty $500 gift cards. 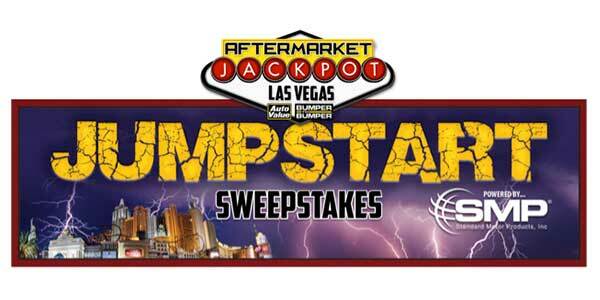 Visit jackpotjumpstartsweepstakes.com to learn more about sweeptstakes details.